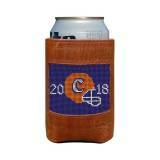 Monogrammed Koozies help keep you drinks cold on hot summer days. Perfect for tailgating or a beach weekend with the girls. 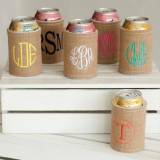 Create a fun monogrammed koozie for all of your friends for the perfect party favor.